See: Tacata, Ryan. "In the Weeds." TDR/The Drama Review, 63(1), 2019. pp. 2–3. A curated series of talking bouquets (made of weeds) as critical, creative, and dedicated responses to performance. Submissions: rtacata@stanford.edu. 1. Think on a performance you’d like to give some words to. 2. Take a weed-walk in your area and use an app like iNaturalist to ID your plants. 3. Take a clipping and determine what it says. This might require referencing old “Language of Flowers” guides or it might prompt you to develop new language for the plant given its shape, smell, color, feel, etc. 4. Collect and arrange a small sentence of weeds for dedication. Take a photo and post it to our website with your words, or send it directly to the performers. To Adam Linder’s Full Service (2018). To Liza Minelli in Cabaret (1972). Yarrow: Cure for a broken heart. Hairy Crabgrass: Tends to invade manicured turf. To Gob Squad’s Creation (Pictures for Dorian) (2018). REDCAT, LA. Miner’s lettuce (Clayton Perfoliata): Survival/new beginning. Dandelion: You are losing time. 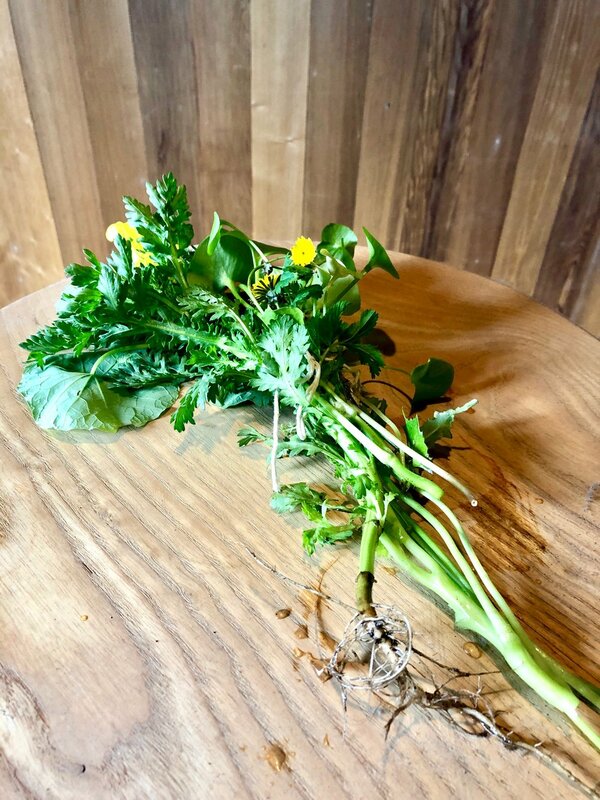 Sow thistle (sonchus arvensis): A warning against unwanted meddling! To Mara Poliak, Maryanna Lachman, and Abby Crain’s Snake Talk (2016). CounterPulse, SF.